After a summer of touring and festivals, the ladybug sponsored by Franklin’s State Legislative delegation has found a new home. And where better than the home of Franklin’s government. 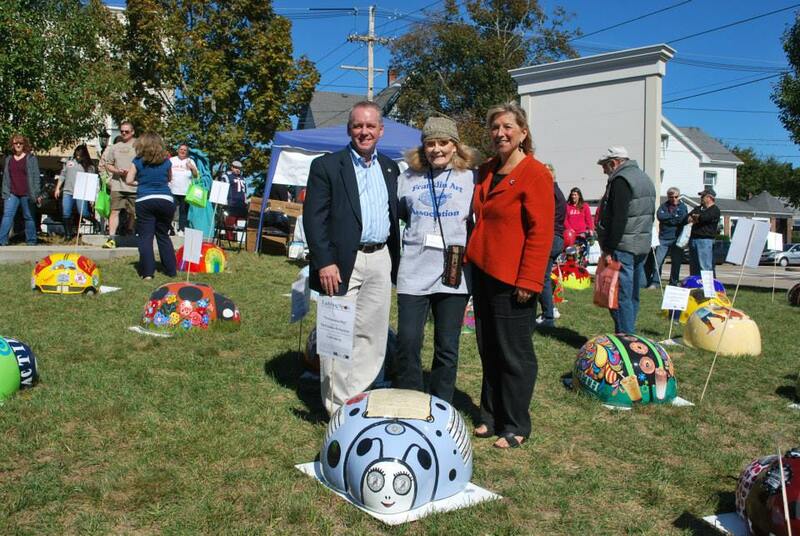 On Tuesday, February 10, 2015, Representative Jeffrey N. Roy (D-Franklin), Senator Karen E. Spilka (D-Ashland) and Senator Richard J. Ross (R-Wrentham) will be hosting a ceremony delivering the delegation’s ladybug to town officials. They will also commemorate the 40th anniversary of the class project that successfully traversed the legislative process and made the Ladybug the official bug of the Commonwealth. In 1974 Ms. Pamela Johnson’s second grade class from the Kennedy School in Franklin was learning about the Legislative process when they decided that they would like to make a difference and try their hand at legislating. Since Massachusetts already had an official state bird, tree and fish, they decided that the State needed an official bug. Ms. Johnson’s class pooled its resources and with the direction of their State Representative worked through the committee process, visited legislators, lobbied on the bill’s behalf and ultimately passed the bill that made the Ladybug the official Bug of the Commonwealth.